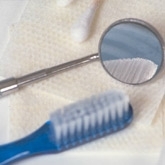 DentalPlans.com provides a hassle-free way to save money on General Dentistry and more at a Woodstock dentist. Simply type in your ZIP code to review the leading discount dental plans and participating dentists available in Woodstock, GA. Choose the discount dental plan that is best for you and take advantage of dental care discounts at dentists like Dr. Richard S Schalk. Simply visit Dr. Richard S Schalk or any other participating dentist in Woodstock, GA to enjoy savings on General Dentistry according to your plan's fee schedule. Our individual and family discount dental plans start at $79.95 per year and $129.95 per year respectively, and will offer you discounts on General Dentistry and other dental care services. Our national dentist directory has over a hundred thousand participating dentists listings in combined networks such as orthodontists, endodontists, pedodontists, and more. So if you require getting cavities filled, orthodontics, dental implants, or any other dental care treatments, DentalPlans.com is a great resource for locating Woodstock dentists and dental care specialists.